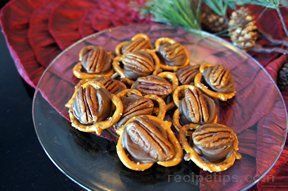 The hardest part to these simple turtle candies are lining up the pretzels on the baking sheet. Only 3 ingredients to these delightful candies. 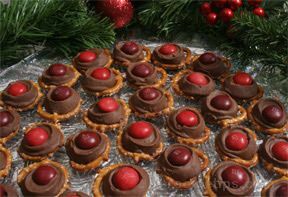 Place pretzels on foil; top each pretzel with a Rolo candy. 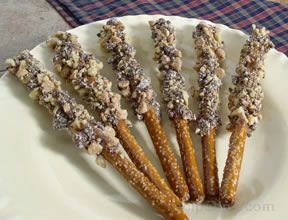 Bake at 250° for 4 minutes or until candies are softened, candies will retain their shape. 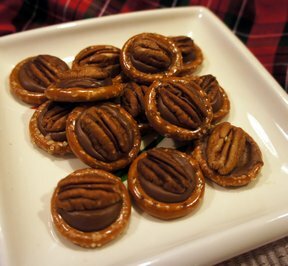 Immediately place a pecan half on each candy and press down so the candy fills pretzel. Cool slightly. Refrigerate for 10 minutes or until set.